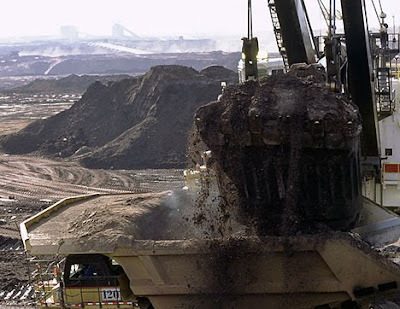 The Indigenous Environmental Network and the Council of Canadians are calling on the Federal government to immediately release the findings of the Parliamentary Committee on the Environment and Sustainable Development regarding the impacts of Tar Sands operations on Alberta water resources. The Committee had been working on a report after an 18 month investigation, but according to a Canwest article yesterday drafts of the committee’s final report have been destroyed and no further notice has been given about the future of the investigation. So far, both the federal and provincial governments have failed to acknowledge extensive evidence gathered by Indigenous and environmental groups exposing the health impacts on First Nations and Métis communities living downstream in Fort Chipewyan. Groups watching the Committee had hopes this investigation would expose this issue. Both organizations are calling for a transition towards a tar sands-free future. This entry was posted in Tar Sands, Their Governments, Water & Food and tagged Water & Food. Bookmark the permalink.